Comments Off on Pronghorns making a comeback in Mexico, pterosaurs in Brazil, and praying for dryland in Panama. Pronghorns making a comeback in Mexico, pterosaurs in Brazil, and praying for dryland in Panama. Argentina’s National University of Río Cuarto has developed an inoculant that hopes to improve sunflower growth under drought conditions. The technology consists of strains of the soil bacteria Bacillus pumilus (SF3 and SF4) and the endophytic (living in the plant) bacteria Achromobacter xylosoxidans (SF2) isolated from sunflowers under drought conditions. After fermenting these bacteria together, they can be applied to the seedling before planting. Field tests have shown yield increases by about 21% in the treated plants. Pronghorns, one of America’s fastest animals, making a comeback in Mexico. Credit: Tatiana Gettelman via Flickr. In an effort to curb deforestation in the Amazon, Brazilian supermarkets say they will no longer sell meat from cattle raised in the rainforest. The Brazilian Association of Supermarkets (Abras) signed the deal with the Federal Public Prosecutor Daniel Cesar Azeredo Avelino. Avelino mentioned working towards more transparency in food labeling to ensure customers know where their meat is being raised. A 110 million-year-old giant pterosaur fossil has been unveiled in Brazil. It is the first pterosaur skeleton found in the country. A rust fungus-resistant coffee plant has been developed by Colombia’s coffee research organization Cenicafe. The variety is a cross between Colombia’s Caturra and Southeast Asia’s Timor hybrid. Now Cenicafe must convince coffee growers to switch to their coffee rust-resistant plant. The coffee rust fungus is wreaking havoc across Central America: Guatemala has declared an agricultural emergency. The pharmaceutical division of the South Korean company LG has teamed up with Life laboratories of Ecuador to make three products: erythropoietin for patients with anemia, urofollitropin for fertility problems and somatotropin for growth deficiencies. These drugs, like many others, are produced with recombinant DNA technology to increase production and lower costs. Sea cucumber fever has hit Mexico’s Yucutan peninsula. With incessant demand from China, where a pound can sell for $300, sea cucumber numbers in Mexico have plummeted: the 20,000 tons available in 2009 has dropped to 1,900. 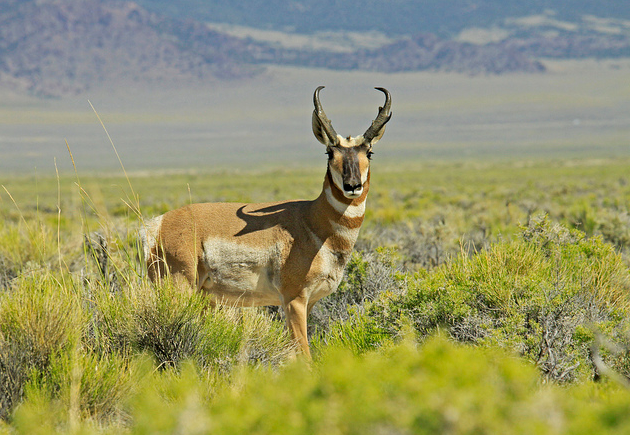 Pronghorns, one of America’s fastest animals, are making a comeback in Mexico. More than 250 adults and 40 young pronghorns make up the population in El Vizcaino Biosphere Reserve. In 1997, that population was 170 and the animals were listed as endangered. Mexico has opened its first scientific research park in Mexico City to help fund science and technology projects that are close to patenting. Construction was funded by the Secretary of Science, Technology and Innovation (Seciti) and the city government. Among the 10 approved projects are male contraceptives and gravitational elevation research. Rising seas have left islanders off Panama praying for dry land. Since 1910, the sea level has risen by almost six inches in the Kuna Yala islands, according to Smithsonian institute research.